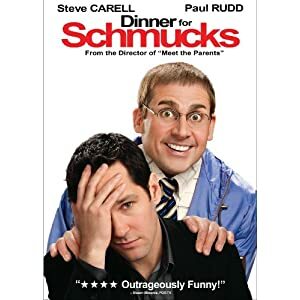 A set of chairbacks from Jay Roach’s 2010 comedy Dinner for Schmucks In the film, a chance meeting between rising executive Tim (Paul Rudd) and mouse taxidermist Barry gives Tim the perfect guest to exploit at his boss’s annual gathering of depraved idiots. 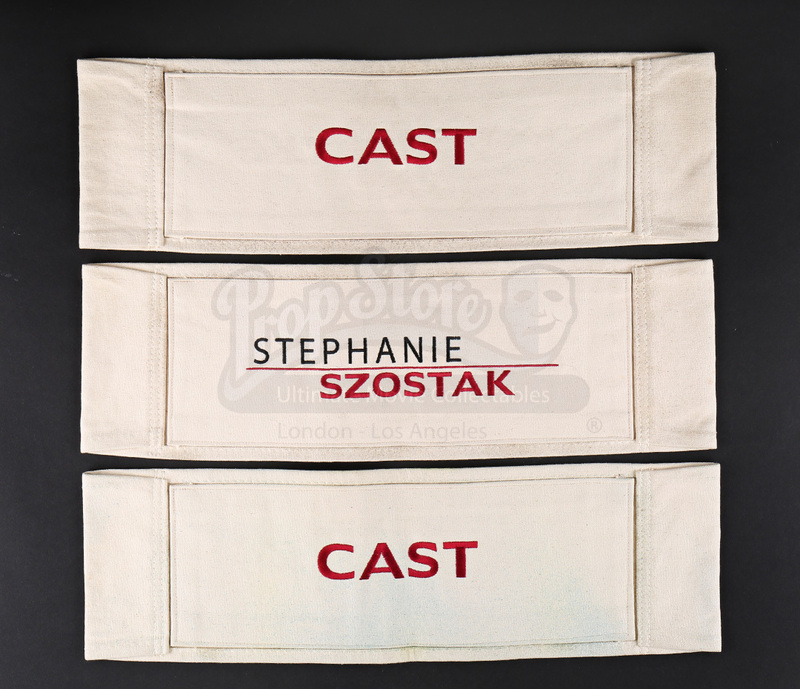 The set consists of three chairbacks, each beige-colored and with the film's title embroidered onto the back. 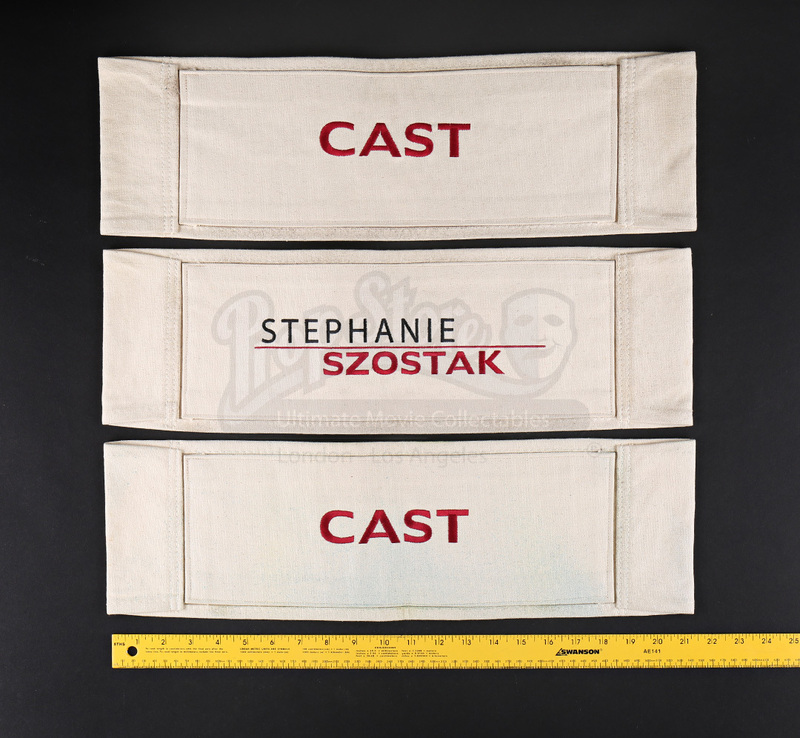 Two of the chairbacks have "Cast" sewn on in red thread while the remaining chairback features the name of Stephanie Szostak, who plays Tim's girlfriend. 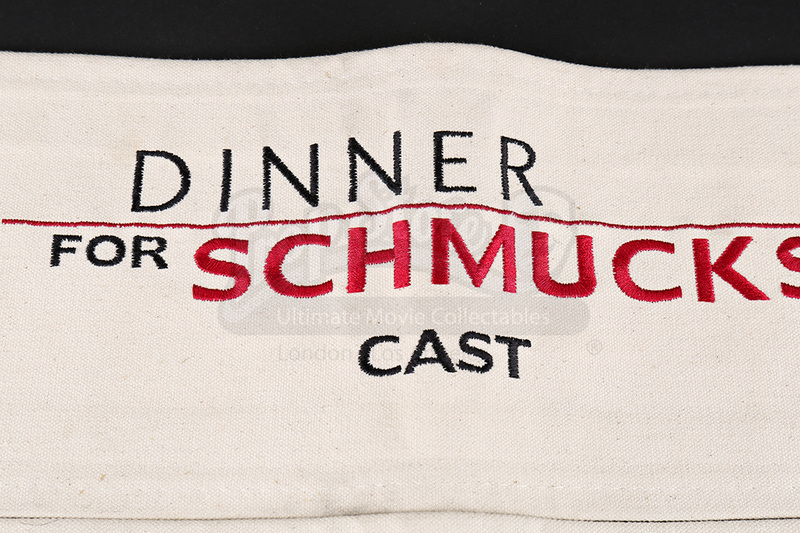 Each chairback shows some sign of wear and discoloration from age, but the set remains in good overall condition.